Nowadays, most jigsaws are equipped with orbital action, sometimes referred to as 'pendulum action'. 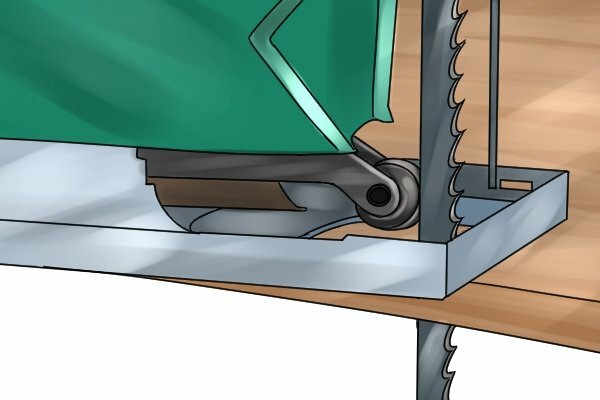 When this feature is implemented, a swinging motion is introduced and the blade is angled slightly forward so that it cuts into the workpiece instead of simply moving up and down. Orbital action provides a more aggressive cutting action and makes a jigsaw more efficient, particularly when cutting thick workpieces like laminate countertops. As the blade's vertical path is altered, which enables rapid sawdust and swarf removal, less friction is generated during cutting. This results in the blade being kept cooler, which extends its cutting life. However, whilst orbital action increases the speed of the cut, it also creates a coarser finish. 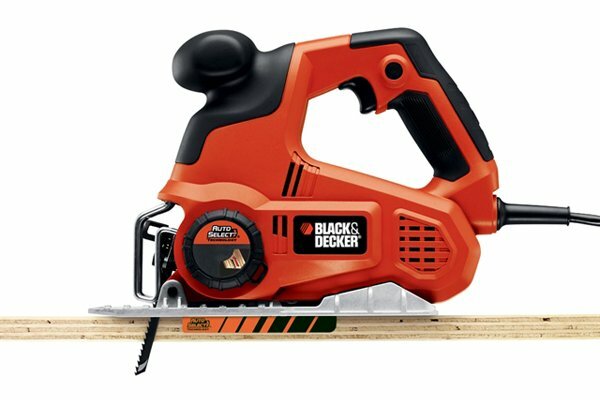 Because of this, the feature should not be used when precision cutting. 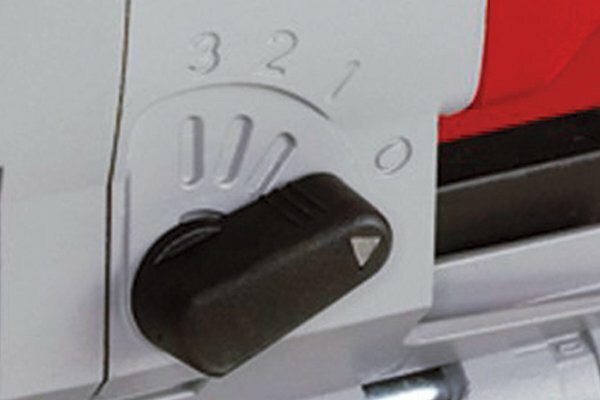 The orbital action of a jigsaw is controlled using a dial, usually on the side of the tool, which allows the user to tailor the cutting action to the material being worked upon. 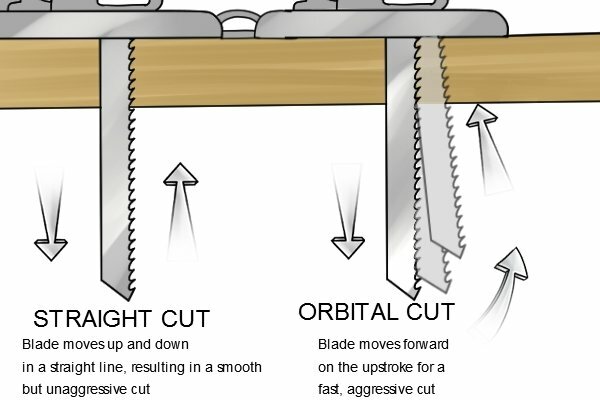 Most saws have four or five different levels of orbital action. 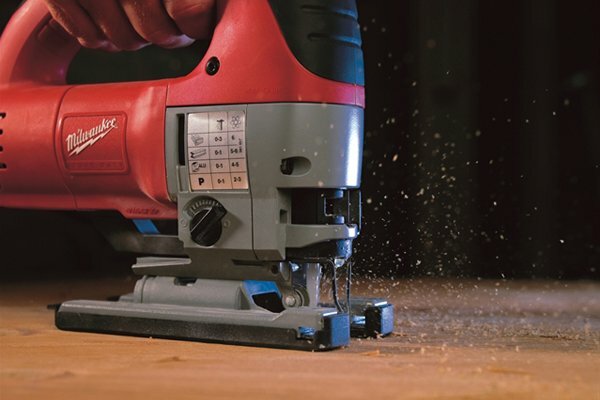 No orbit (straight-line cutting) is employed for smoother, cleaner cuts; a medium setting is best for hardwoods or particle board; whilst maximum orbit is used when a faster, coarser cut is required. As a general rule, straight cuts require more orbital action, while intricate curved cuts are easier to make with less orbit. For more information, see How to select the correct orbital action setting for your jigsaw. 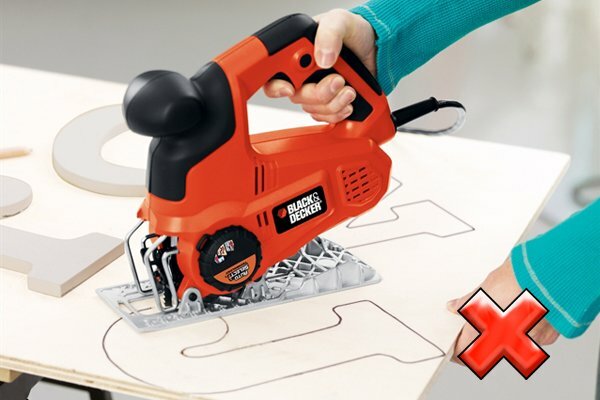 Along with variable speed control, orbital action is one of the key features that enables the user to control the way their jigsaw works. The greater the number of orbital action settings, the more versatile and useful the tool. 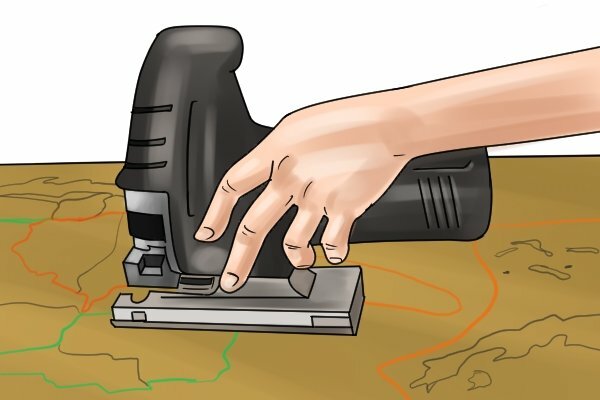 If you are planning on using your jigsaw extensively, orbital action is essential as it will allow you to adapt the tool for a range of different applications.